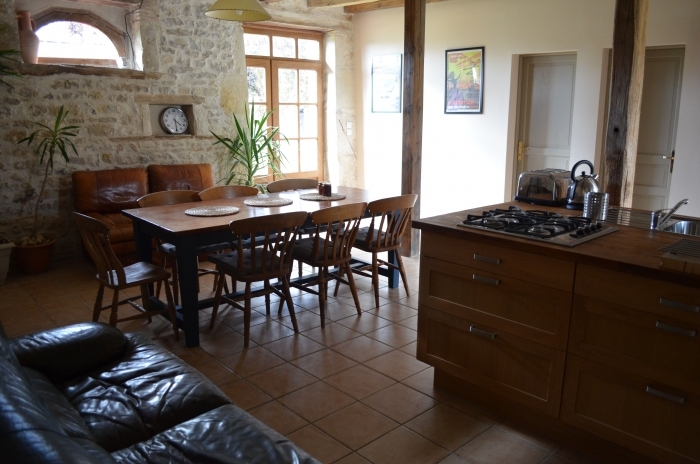 The former coachman’s lodge and tack room have been converted into a comfortable gîte, with 3/4 double bedrooms, bathroom with shower, and a large kitchen/living room, all on ground level. 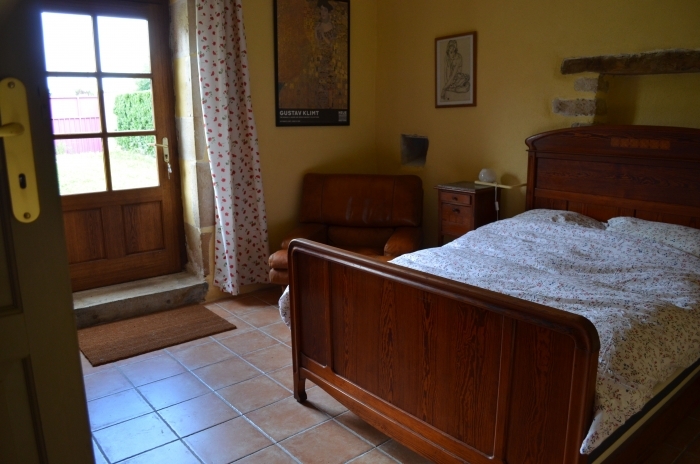 There are single beds for 2 children, additional bed(s) for children or babies can be provided. The kitchen has an oven, microwave, fridge/freezer, dishwasher and a gas hob, and there is a washing machine adjacent to the bathroom. 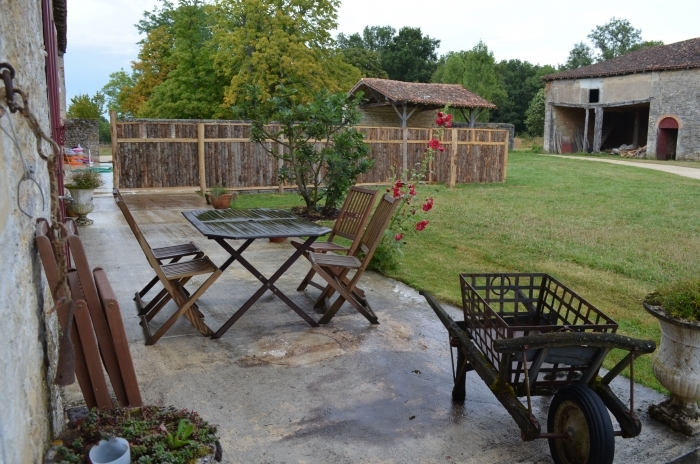 A new open air swimming pool 10x5mx4.5m next to the gite was completed in July 2014. It is chlorine based, with an approved security cover, lockable gates and a perimeter wall. There is a poolroom with shower and toilet. In the village there is a small shop/bar with basic supplies, which is also a bread depot. There are markets in nearby villages, and supermarkets about 20 minutes away, at least one of these offers a DRIVE service. Please email us for further details. Trampoline, for those feeling bouncy. Parental supervision obligatory. Guests are welcome to walk in the grounds; There are longer walks in the surrounding countryside. No smoking indoors. Sorry no pets. 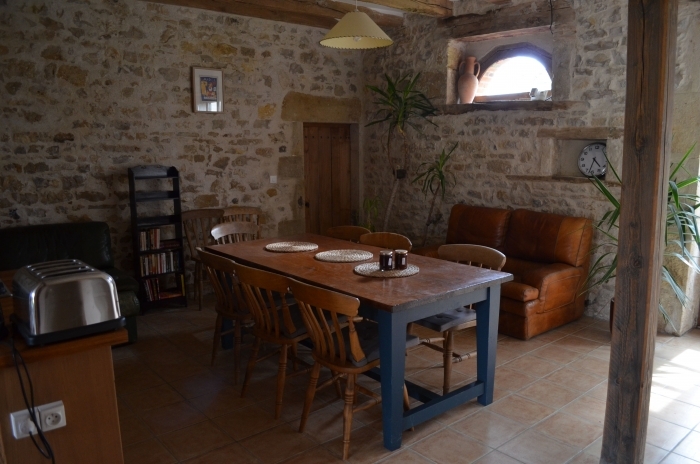 The gîte will accommodate up to 6 adults and 2 children.Payment by cheque, in £ or €, confirms the booking. In the event of cancellation there will be a 50% refund until 14 days before the first day of the booking. There is no charge for children under the age of 13 at the time of the holiday. There is a caution of 250 € or £200 returnable in the week following departure, as soon as the inventory has been checked. Bedlinen, towels and tea towels will be provided. Towels for outdoor use can be provided.